The anthology series goes back many years, though TV has slowly transformed the focus from one-off episodes to stand-alone seasons. (Can you imagine if The Twilight Zone’s “Time Enough to Last” went for 13 episodes on FX?) With cable having already set an extremely high bar where anthologies are concerned, NBC is throwing its hat in the ring by ordering the crime drama Manhunt straight-to-series, as the network is presumably hoping this project will capture the pop culture zeitgeist in the same way as HBO’s True Detective. You know, just with the nihilism taken down to proper broadcast standards. While no specifics about this initial ten-episode season of Manhunt have been announced, each season will generally center on an entire city’s population being brought to its knees by a fugitive lost amongst its streets. According to THR, the series “will examine the moment an American or international city becomes a police state, a war zone or a ground zero and the ensuing bloodlust it inspires.” That sounds like a mighty big plate for NBC to fill, and not one that sounds like it will inspire hope and happiness. The situation is entirely different from recent events in Ferguson, Missouri, of course, but the social injustice Manhunt depicts will no doubt be similar. Manhunt is the creation of up-and-comers Whit Brayton and Zack Rice, who will be writing all ten scripts, with Academy Award winner Gavin Hood (Tsotsi) serving as each episode's director. (A lone director is another thing it has in common with True Detective’s first season.) Both of the writers and Hood will executive produce alongside Universal TV and Anonymous Content, the latter of which produced – you guessed it – True Detective. (And also Cinemax’s stellar period medical drama The Knick.) Hood’s latest trips behind the camera were for the sci-fi novel adaptation Ender’s Game and for a couple of episodes of the A&E series Breakout Kings. Something that has definitely makes recent anthology series like American Horror Story, Fargo stand out are big Hollywood talents at the head of the cast. 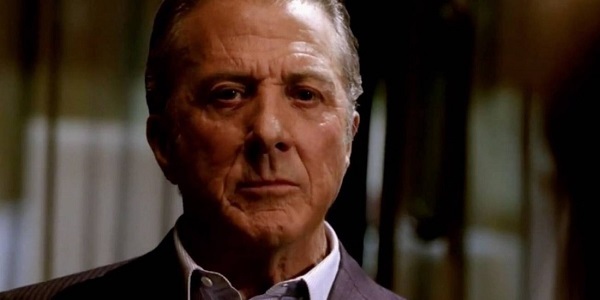 Manhunt, not to be outshined, had Dustin Hoffman and Casey Affleck previously attached, but their participation was directly tied to the show making it to a cable network. The hunt for actors will begin anew, but NBC confirms they haven’t been negotiating with anyone. What's Matthew Perry doing? Now, let’s not consider Manhunt a sure thing just yet, as NBC recently put an end to the Wizard of Oz drama Emerald City after ordering it to series. (Fox recently did the same thing with Hieroglyph.) The network's other 2015 pickups include the resurrected half-sequel Heroes Reborn from Tim Kring and the miniseries A.D., a sequel to Mark Burnett and Roma Downey’s ratings grabber The Bible. Will Manhunt feel more like True Detective or an Unsolved Mysteries segment that’s gone on too long?